The grandchildren of Louis Renault, the man who founded Renault, have taken the French state to court to demand the return of the carmaker, which was nationalized in 1945 after their grandfather was labeled a Nazi collaborator, according to a report by Agence France Presse. Louis Renault founded the carmaker in 1898 with his brothers. The company was placed under German control during the Nazi occupation of France during World War II and used to manufacture equipment for German soldiers. Branded a Nazi collaborator, Louis Renault died shortly after the Allies liberated Paris and before he could be prosecuted for collaboration. As a result, the company was taken into state control. The French state remains the biggest single shareholder, with a 15 percent share of Renault. 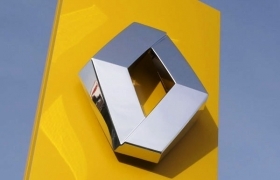 Renault's seven grandchildren began the action after a new legal rule was introduced allowing plaintiffs to challenge the constitutionality of legislation, the AFP report said. A Renault spokeswoman told Automotive News Europe: "We do not comment on litigation." Thierry Levy, the lawyer representing the heirs, was quoted by AFP on Wednesday as saying the nationalization was a "violation of fundamental legal and property rights" and that his clients deserved compensation. But, according to the report, a lawyer representing a union that opposes the move, Jean-Paul Teissonniere, said he was ''stunned by the audacity of the Renault heirs." During the war, he added, "a very large majority of Renault's production went to the enemy" and the company did not assist the French Resistance, nor did it "ask its workers to sabotage" production. A court verdict is expected on Jan. 11, 2012.